Inspiring the next generation of Designers! Last week I was invited to do a talk to a load of P7 pupils at Bannockburn Primary School about my job as a Graphic Designer and Photographer. It was a fantastic experience and a pleasure to speak to the pupils about my passion for design and love for photography. 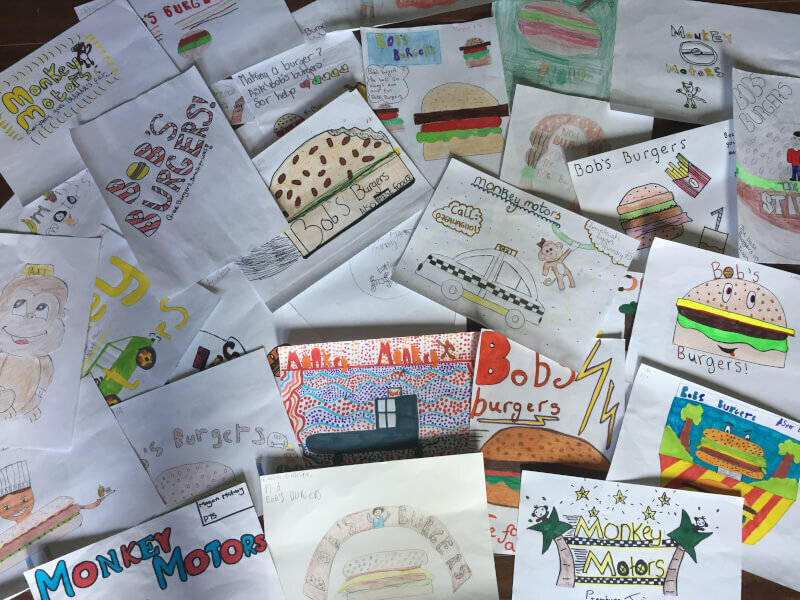 To end the presentation the pupils were given the opportunity to enter a competition to create a logo for either BOB’S BURGERS or MONKEY MOTORS (fictional companies) with a signed photo of Little Mix up for grabs. The entries are in and its time to pick a winner! Fantastic effort from ALL the pupils, this is going to be tough!